If passed, California Senate Bill 937: Lactation Accommodation, will require employers to provide a lactation room, or location, in close proximity to the employee’s work space, and it must include prescribed features such as access to a sink and refrigerator. SB 937 also would deem denial of reasonable break time or adequate space to express milk a failure to provide a rest period in accordance with state law. 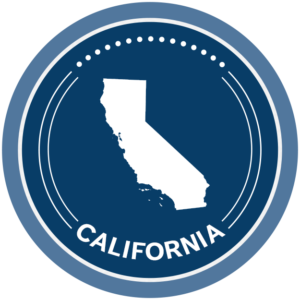 On January 29, 2018, California State Senators Connie Leyva and Scott Wiener joined state and local legislators to introduce Senate Bill 937 (“SB 937”), which, if passed, will amend California Labor Code sections 1030, 1031, and 1033, and add sections 1034 and 1035. California may follow in the footsteps of a similar ordinance passed by the City of San Francisco as described here. Below are some of the substantive amendments and additions that SB 937 will require, if it becomes law. Labor Code section 1033 will be amended to deem denial of reasonable break time or adequate space to express milk a failure to provide a rest period in accordance with state law. Moreover, employees will also be protected from discrimination or retaliation by their employer for requesting or asking about lactation space by permitting them to file a complaint with the Labor Commissioner pursuant to Labor Code section 98.7. Maintain a record of requests for three years from the date of request and allow the Labor Commissioner to access these records. Labor Code section 1035 will be added, which will require the DLSE to establish best practices for lactation in the workplace, including a model lactation policy, and a request form, all to be made available for download from the Internet. The text of SB 937 is available here. On May 30, 2018, the bill passed out of the State Senate and was ordered to the State Assembly, where the bill will go through the committee process again. As of June 26, 2018, the bill was re-referred to the appropriations committee. Please contact Jackson Lewis with any questions about this pending new law.